If there's one continent of which many investors remain skeptical, it's Africa. While some countries on the continent offer stable economies with the workforce needed to thrive, others are plagued by rampant political corruption. One factor that's discouraging people from investing in Africa is its unreliable infrastructure. If a company in Russia were to procure goods from a factory in Kenya, distributing those products to various relay points would be a serious consideration. The fact that such a basic necessity such as logistics is a concern is a real worry. Why such an underdeveloped transportation environment? 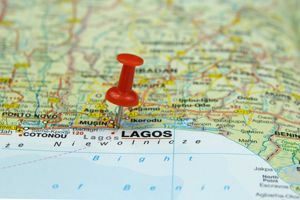 DHL posted results of a study it conducted on Sub-Saharan Africa on SupplyChainBrain, calling the region "the world's least connected continent when considering the ease of moving people, trade, information and finance." The report cited issues regarding telecommunications, public transit and trading. A large issue that's hindering development is the lack of tangible trade agreements among African countries. DHL's research found that 80 percent of goods produced in Africa are exported to the European Union, China or the United States. This means that many Africans are not benefiting from products that are improving the economies and standards of living in those three regions. Once commerce accords are put into action, the continent will likely be able to mitigate this issue. Until that happens, purchasing management professionals will probably advise interested parties to avoid the logistics costs associated with obtaining products from Africa. The second pillar benefits China in that its business leaders can gain the beneficial experience associated with conducting trade in a difficult market. It's not easy setting up operations in Africa, but that only makes Chinese executives more savvy in regard to profiting in volatile environments. The third pillar refers to the fact that the majority of the world's population growth will come from Africa, meaning companies are going to need to satisfy the demands placed by more consumers and have access to a larger labor pool. "China is making a long bet on the emergence of vibrant, high-consuming middle classes there, and with each year this wage is looking smarter and smarter," noted French. While some Western investors may view Africa as a mess they would rather avoid, they could be missing out on the opportunities upon which China is capitalizing.